Former two-weight champion sees much of himself in the unbeaten Northern Irishman who fights at super-bantamweight. Ricky Hatton is backing Carl Frampton to become a world champion, claiming the Belfast fighter reminds him of himself. 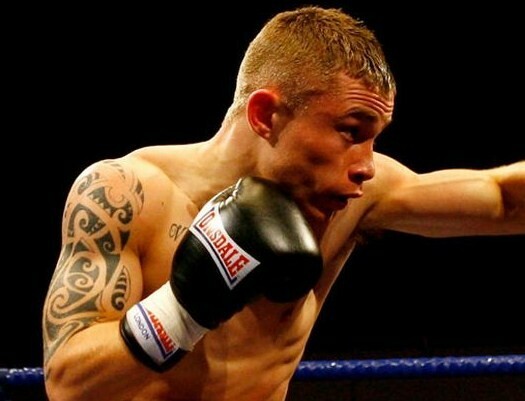 Frampton is closing in on a shot at Kiko Martinez's IBF super-bantamweight title and hopes to become the number one contender by beating Frenchman Jeremy Parodi tomorrow night at Belfast's Odyssey Arena. Hatton believes the Ulsterman can go all the way, claiming he is fearless, just like he was. "Carl is looking better and better every fight," said the Hitman. "He looks very big for the weight and very strong, he's improving all the time. "I see much of myself in him in the sense that he's not scared of fighting anyone. He's called Scott Quigg out, he's already beat Kiko Martinez who's a current world champion. "The thing I like about Carl is that I see the same ambition I had in him. I didn't just want to be a world champion, I wanted to be the best in the division. "Then when I became the best in the division, I wanted to become the best in another weight division and then the best pound-for-pound. "You can see that Carl has that same fearless hunger. As long as you have that fearless hunger you have half a chance, but I think Carl has more than just half a chance. "He's just peeping round the corner of that world title shot now and if he puts a good win in on Belfast, I think his next fight will be a world title. "Carl will most definitely become a world champion. He's getting better all the time and it's there for the taking. The sooner he can get a world title the better." Frampton vs. Parodi is live and exclusive on BoxNation (Sky Ch.437/Virgin Ch.546) from 7pm tomorrow.